As airlines struggle to compete on price, and customer loyalty becomes increasingly important, there is a concerted push to manage the customer experience. Every aspect of the interaction is considered, most noticeably on the plane’s exterior, at check-in, gate lounges, and on cabin crew uniforms. 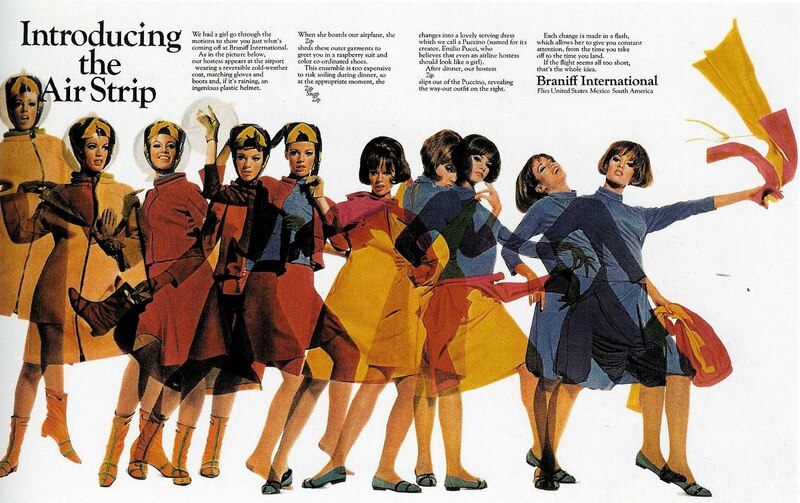 Advertisement for Braniff International: The copy is worth a good read. This branding is becoming increasingly evident in the interior design of the cabin. What used to be a fairly utilitarian space has become more aggressive in reminding you which airline you are flying with, as if by shoving their brand in our face for at least an hour we will associate them with flying, and become more likely to use them in the future. 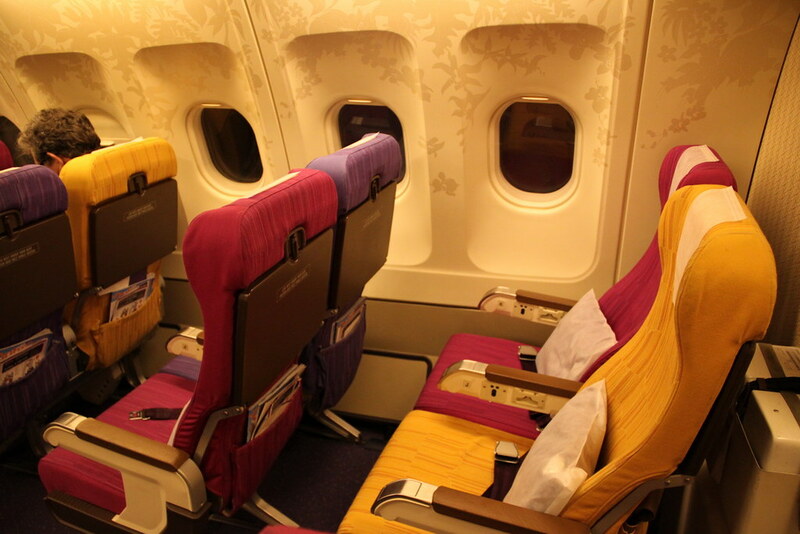 For Thai Airways, we see the colour palette for the seats is entirely drawn from Thai Airways branding. On top of that, the vinyl graphics are applied to the entire length of the cabin walls. Try and guess what colour Air Asia’s logo is. How does this apply to creating experiences in the built environment? A consistent experience for users means that the environment is easier to navigate and understand. The less time spent thinking about what is meant to be done with the surroundings, the more time can be spend on thinking about what can be done in them. This is where an integrated approach to branding the environment and providing wayfinding assistance can be crucial. Messages should be delivered in the same way across the whole site: that means verbal and written directions should sound the same. The wayshowing system should be an expression of the organisations branding, and consider how they want the user to feel while they interact with it. Finally, this integration, as with any sort of branding, should honestly reflect the organisations values and identity. Otherwise it will be seen as little more than attractive fakery.